Is your work for food and accommodation in New Zealand a fair deal? Save money, experience the Kiwi life, improve your English and get some hands-on experience: working for food and accommodation in New Zealand has many awesome benefits for backpackers! 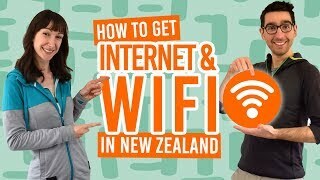 While working for accommodation and food is extremely popular in New Zealand, like everywhere, there are a few people who take advantage of the situations. When you’re getting into a work for accommodation and food deal, you should be rewarded fairly for the amount of hours you work. 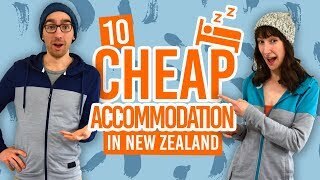 To avoid dodgy work for accommodation listings, take a look at the guide below to what are your rights when working for food and accommodation in New Zealand! That way, you’ll ensure a secure, safer and fairer work for accommodation and food experience! Take a look at our job listings for work for accommodation and food opportunities in New Zealand! Working for food and accommodation in New Zealand is commonly known to New Zealanders as “WWOOFing” or “Woofing”. This is because the term was originally coined from the World Wide Opportunities on Organic Farms (WWOOF) organisation where workers could work on an organic farm in exchange for food and accommodation. While this is still a common practice in New Zealand and a popular experience among backpackers (see Everything You Need to Know About WWOOFing in New Zealand), the term is now used for any type of work in exchange for food and accommodation. This could be working in a hostel or other types of commercial accommodation, house-sitting, babysitting, doing house chores and more. The common deal most workers and WWOOFing hosts make is for the worker to do 2-4 hours of work per day for five days a week in exchange for accommodation and three meals per day. There are variations of these hours, for instance, you can work more hours in a day for an extra day off. We’ll go more into detail on your rights when working for food and accommodation below. What visa do you need to work for accommodation and food in New Zealand? First things first, can you legally work for food and accommodation in New Zealand? To do work in exchange for any kind of reward in New Zealand you need to have a valid work visa. 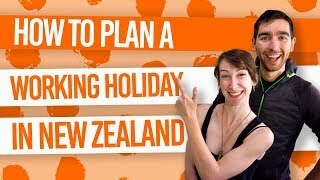 The most common visa people get while travelling in New Zealand is a working holiday visa. However, any other work visa is usually valid too. The work conditions are made very clear when you receive your visa. If you are in New Zealand on a visitor visa, you cannot legally work for accommodation and food. If caught, your hosts could be faced with charges. Inspections on work for accommodation hosts have become more and more frequent over the years. The most important thing to note is that the value of the accommodation and food should not be lower than the value of your work at minimum wage. The minimum wage in New Zealand is NZ$17.70 per hour. So for example, if you work for accommodation for two hours per day at a minimum wage of NZ$17.70, your reward must be of a minimum value of NZ$35.40. Before you start working with your host, you must be offered a choice of either work for a selected amount of hours in exchange for food and accommodation or paid at least minimum wage. Under New Zealand law, you are entitled to a full wage with only 15% deduction for food and accommodation for your labour, unless you and your host have both agreed on a fair contract. See more about that in the section below. Do you need a contract to work for accommodation and food? Not only is a contract for work for accommodation and food a legal requirement in New Zealand, it’s also a good idea so that both you and your hosts have the same understanding. Under New Zealand law, you need to have a proper work contract when doing work in exchange for accommodation and food. Expect working for accommodation contracts to be short and concise. They might not look like much, but they display a fair working agreement for both you and your host. Do you need to pay taxes when working for accommodation and food? You do not need to pay taxes when working for only accommodation and food. You only pay income tax if you are being paid a wage. What rewards can you accept when working for accommodation and food?